Relish the memory. : The Utter Peanut Butter Nutter. The Utter Peanut Butter Nutter. If you were around in the 80s or 90s you may have a fond, or perhaps not so fond memory of a screechy, geeky, slightly irritating and unforgettable advertisement for Peanut Butter. Take a moment and enjoy a trip down memory lane watching the tune that will forever resound in my head, here. Sanitarium should be commended for their successful marketing tactics, acknowledged for imparting the PB love and most certainly thanked for helping attain an ‘utter peanut butter nutter’ out of me. There is a whole lot more to this humble spread than one might think. The percentage of peanut content, extra added ingredients and the quality and state of the peanuts themselves. All of which have a huge impact on the flavour and quality of the final product. In an ideal world you would opt for organic, but for me that’s an unlikely luxury. Avoiding those with sugar or added vegetable oil – is recommended, and if you are feeling virtuous go for no added salt. Although my health conscience self allows me to eat and enjoy the unsalted variety, when it comes to PB I’m all about the salt. But there is no need for the sugar here folks – if you need sweetening up, then I suggest jamming it with it’s companion strawberry or raspberry. Or better yet - head down to Al Brown’s Best Ugly Bagels (at the City Works Depot in Auckland), order the PB & J and savour every mouthful. Our 'Pic' - never stays full for long. With his impeccable taste in kiwi cuisine, Al Brown and his team at Best Ugly bagels use only the best of peanut butters - Pic’s ReallyGood Peanut Butter. It is New Zealand owned and operated, grown in Nelson and for those who have tried it I am sure you will agree – it is really, REALLY good. These guys have their peanut butter sorted, so natural and authentic that they even advise you to store the jar upside down to prevent the natural peanut oils from separating. Kiwi ingenuity at it’s finest. As with most things in life, you pay for the best, but as an only slightly more expensive variety, this stuff is worth every cent and rightfully achieves my ‘pic’ of the bunch. :P I have been experimenting with peanut butter in all sorts of breakfast/snack concoctions recently - the most surprising was a Peanut Butter Tofu Mousse. Four ingredients: fresh tofu, peanut butter, dates and banana. The result was a thick flavoursome paste that felt a little like eating cream cheese - not for the faint hearted, but thoroughly devoured and enjoyed by me. Peanut Butter Tofu Mousse. Intriguing & wonderful. For the peanut butter lovers among us there is a heated debate when it comes to how you have your PB on toast. My family have perfected our own ultimate PB combo and this is how it goes…steaming hot, perfectly toasted original mixed grain vogels, spread with a layer of butter or olivani, lathered with a decent hunk of crunchy and salted peanut butter, topped with sliced banana and squished down (only slightly) so you can enjoy each bite without losing a single banana sliver. It really is a slice of wholesome heaven. But each to their own and however you have yours – whether it’s the smooth on white bread, an English muffin with jam or even sliced tomato. 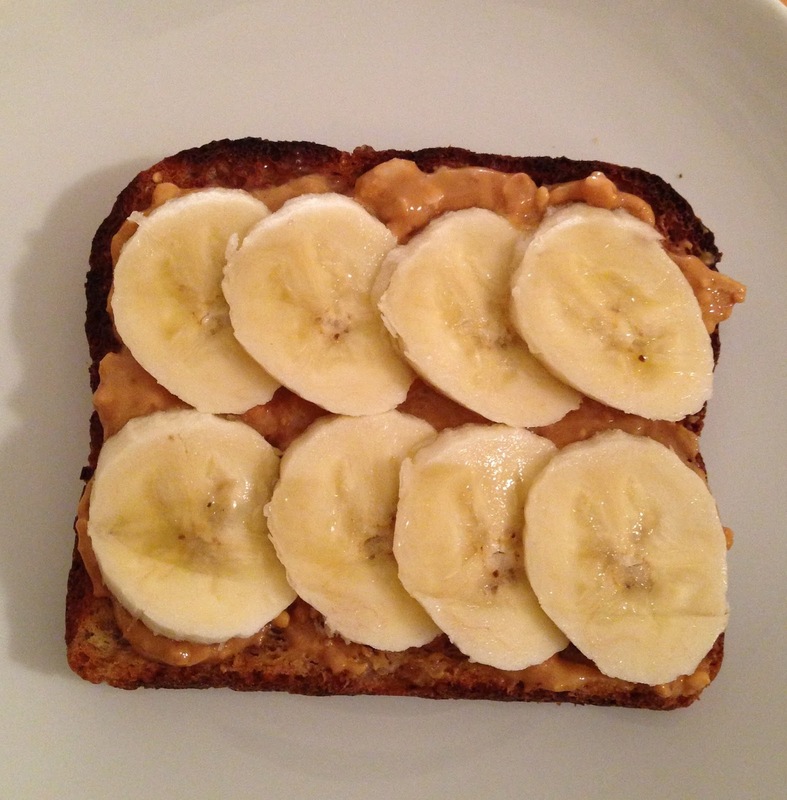 Any time of day or night, each utterly delicious mouthful of PB on toast is almost always a good idea. 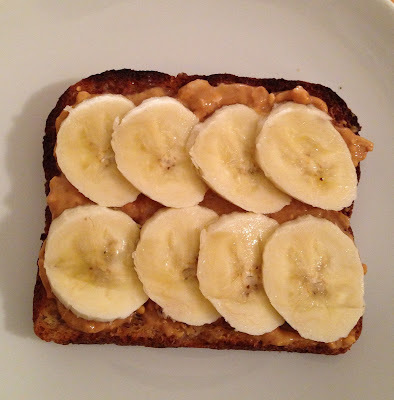 Vogels, Peanut Butter & Banana Bliss. To further strengthen my love affair for this gorgeous tanned chunky spread, I booked in a kitchen date with some roasted peanuts, my patience and a high-powered food processor. The result was my very own pottle of homemade, sea salt and a dash of cinnamon, peanut butter. It’s smokey roasted flavour was delightful, the texture a mix between smooth and crunchy – unlike the bought varieties I didn’t have much control over the crunch/chunk factor but I was more than satisfied with the result. To ensure I didn’t devour the jar in one sitting I opted to create a few other peanut-butter laden dishes. The first of my nutty friends to come to fruition were my mini Chocolate Peanut Butter Cups. The chocolate-peanut-butter combo is an American-inspired and infamous companionship. 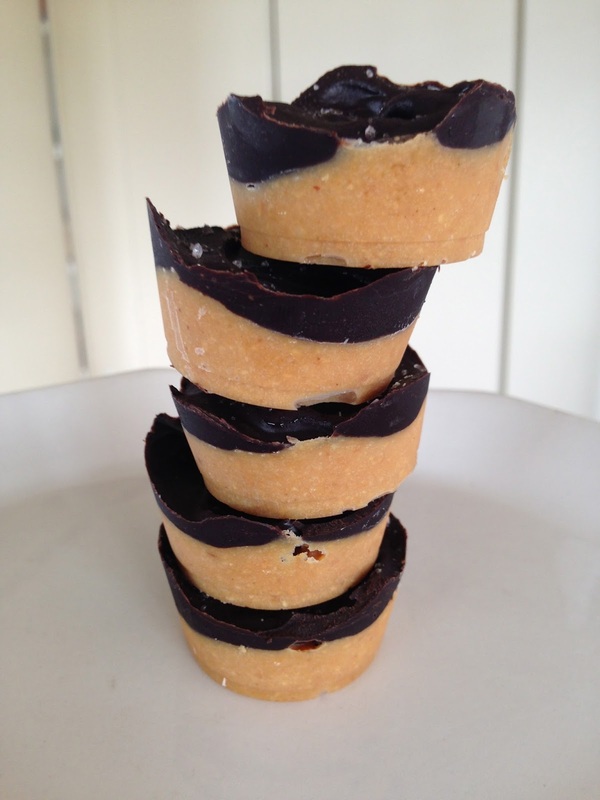 The sweet-tooth in me is partial to the classic Reese’s Peanut Butter Cup, although preferring to avoid the hydrogenated or high-fructose nasties inside, I was inspired to give them a homemade re-vamp. Encouraged by the beautiful blog of sister-duo, Julia & Libby, these simple, rich and decadent treats are a delight to the senses. Using only a handful of ingredients the recipe (here) takes wholesome nutritious treats (and my peanut butter addiction) to a whole new level. And it’s the usual stopping at one part, that I am yet to master. Gado-Gado: Vibrant salad w. Peanut Sauce. Recipe c/o Ripe Cookbook. 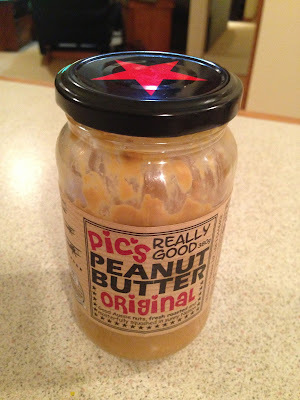 As with anything in life balance is key, and peanut butter does as well in the sweet stakes as it does with the savoury. A spoonful of this gold seems to find it’s way into a number of my savoury kitchen escapades. A generous dash added to my stir-fry green beans makes the perfect budget-friendly satay side dish or filling for rice paper rolls. A spoonful or three adds a rich, creaminess to soups – my flavour of the month being Pumpkin, Peanut and Chilli - a recipe inspired by the good old days of staff meals and a S.O.D (Soup of the Day) to warm my soul at Nova in Dunedin. A few spoonfuls of peanut butter melted with a little coconut milk creates the perfect cheat version of a dreamy peanut sauce to top ‘Gado-Gado’ an Indonesian salad consisting of fresh vegetables, tofu and a hard boiled egg - a dish that takes me straight back to my Balinese adventures. Soup: Pumpkin, PB & Chilli. How do your peanut butter cups look so perfect! What is your secret? I am very impressed.